Notably, there are three types of pop-up stores. The first, and could be the simplest type, is the ‘no digital involvement’ kind of store. The next level is semi-digital where vendors may incorporate some sort of mobile display or a point-of-sale (POS) system to aid the business. The last type, arguably the most effective, is smart pop-up where vendors make full use of technology to gain insights of the consumer behaviours and drive a personalised brand messages. The toughest question for traditional brick-and-mortar stores has always been the location, how to lock in the best possible property that is not only attracts loads of customers but also secures an affordable rental price. Then, we witnessed the rising era of e-commerce as an efficient method of shopping for the working adults who prefer things to be fast and convenient. And now comes pop-up stores - the perfect meeting point of a traditional store and an online shopping site: to connect with new, potential customers in real life without wasting too much time and effort in setting up a physical footprint. Major department stores like Macy’s are opening up to this new idea by giving over large chunks of their floor space to temporary kiosks and pop-up stores, which is a much better option than leaving empty strips of valuable properties to go to waste. With the surging number of retail stores closures during the past year, pop-up stores help to answer the aching questions in regards to real estate lease. Despite being short-lived, pop-up retail still offers a mountain of valuable insights for retailers to mine. By incorporating the suitable technologies, retail brands can still learn about the consumers such as their interests, the way they move throughout the kiosk and more. Read more: Leveraging customer data, are retail businesses doing it right? Cameras, heat maps, interactive displays or other technology devices can be used in a digitally optimised pop-up store to capture data in real-time, then all data is streamed to one retail solution for analysation. From then, insights about the activities at the pop-up are displayed on an IoT dashboard in an easy-to-read manner for better understanding of the customer experience and to better serve the shoppers. There’s another retail terminology that is also the buzzword these days, and that is omnichannel, an integrated, seamless customer experience regardless of whether they shop online or offline. 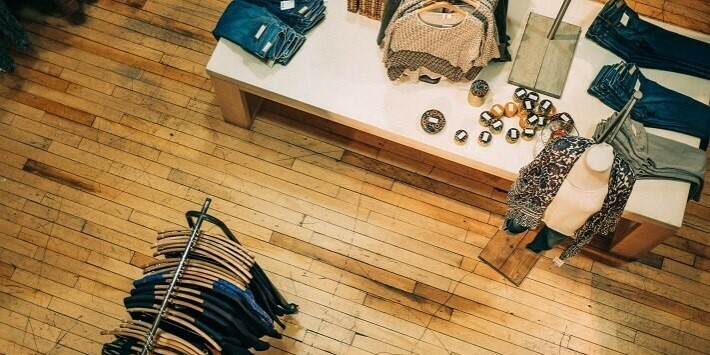 How can omnichannel help pop-up retail? Maybe ModCloth can give an explanation to this question. ModCloth is an American e-commerce website founded in 2002. They are best known for their vintage clothing for women. In recent years, they are starting to host pop-up stores in major cities such as San Francisco, Los Angeles, Portland and Austin in order to attract larger demographic that are into retro/vintage fashion with ModCloth’s exclusive and limited selection. If the customers pay extra, they can book a personal consultation with Modcloth stylists and learn everything they want to know about the products. However, the catch is the customers are not allowed to bring home the outfit they selected at the pop-up store but rather have to order through the on-site employees or place the order themselves at home. By utilising omnichannel experience at a pop-up store, ModCloth is exposing themselves to potential customers by allowing them to interact and experience purchasing with the brand. If they are interested in the products offered, they will do more in-depth research and probably buy more via their online presence. People like to be a part of something special and unique; pop-up retail when done right can provide an outstanding experience that would make the shoppers shriek “I was there before it was gone”. Whether your organisation is fixated on selling the products exclusive online or in a traditional brick-and-mortar shop located in a mall downtown, or you are intending to combine the two types of shopping to create a more hybrid experience, pop-up stores are here to stay. So why not make use of this trend and try out something different for your brand!